How Well Do You Know: Monsters, Inc. 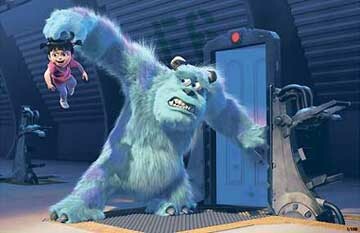 If the earlier films hadn't already done so, Monsters, Inc. solidified Pixar offerings as critical and popular darlings. Great vocal talent, superb CGI and substance behind the plot and characters makes MI a modern classic. You may or may no longer be afraid of whatever it is creeping around behind your closet door, but how well do you know Monsters, Inc.?